Growing up, I always had a smooth face. Ofcourse adolescents came with its horrific face problems but mine was a minor one which saw my five head rendered the roughest wall of China when am on “that time of the month “. It never bothered me as I was not so much focused on my face. That cleared up the rest of my teenage years (14-19). In campus girls were into make-up, peer pressure kicked in. Well it was the good type of influence but my oh my, didn’t I get my face attacked by acne. I switched back to my Vaseline, Good old Vaseline. I went back to natural hair towards the end of 2013. As a newbie in the journey ( which I shall document soon) I used all sorts of products, little did I know I was doing harm to my face. My hair was to die for but my face got alot of pity ( especially from my mum). I tried alot of products and changed my face regimen every time I got suggestions. I came across “dudu-osun”. This is African black soup, it worked but my face was always dry. Then I read about THE OIL CLEANSING method. I have never looked back since. My face isn’t perfect but I feel refreshed and smooth and most importantly, my complexion is even. First of all, it’s important to know that,your face generates natural oils which we tend to strip off in the name of cleaning by using soap or those pricy cleansers.when the natural oils are striped off, the skin goes on an overdrive to generate more oil to replace the striped off ones and that results to the nightmare ACNE. This is a very bad habit we adopted growing up without questioning. with that said, this method doesn’t involve soap. From what we learnt in chemistry “like dissolves like” using oil to cleanse will maintain our Natural oils. 2. Take enough coconut oil in your palms and gently in circular motion apply on your face. 4. Take a wash cloth and dip in hot enough water but not too hot to burn your face. 6. Repeat step 5. 2-3 times. 7. Tap dry your face and if you feel a little dry, take little coconut oil and apply on your face. 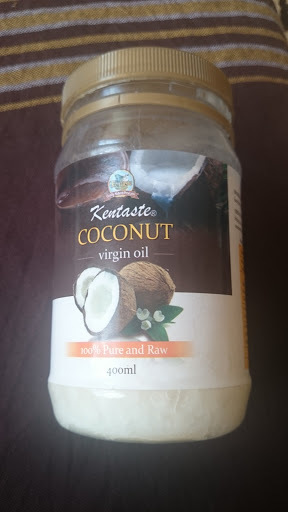 In the morning, you just use warm water on your face and oil with coconut as your moisturizer. Note that it takes 1-2 weeks for you to notice a new glow in your skin! Try it ladies and even men with acne problem! thanks for sharing these,will try it out..
hey, let me know how it goes for you. Been two months using it now..no changes..yet..guess I’ll just keep trying.